The Benefit Punch Pop! Liquid Lip Color is packaged in a 7ml squeeze tube. I thought for sure that this would have a slant-tip applicator but the packaging is actually equipped with a paddle-shaped doe-foot. 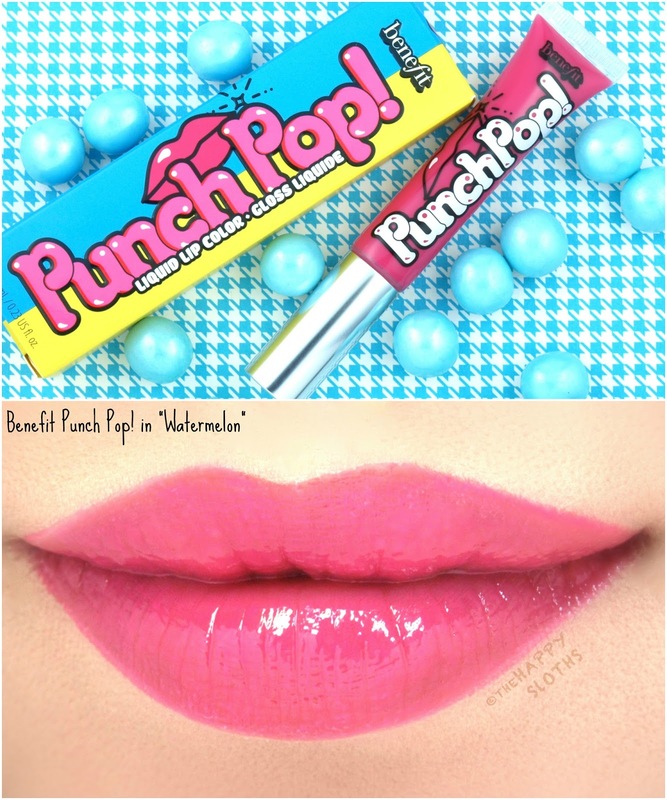 Benefit Cosmetics | Punch Pop! 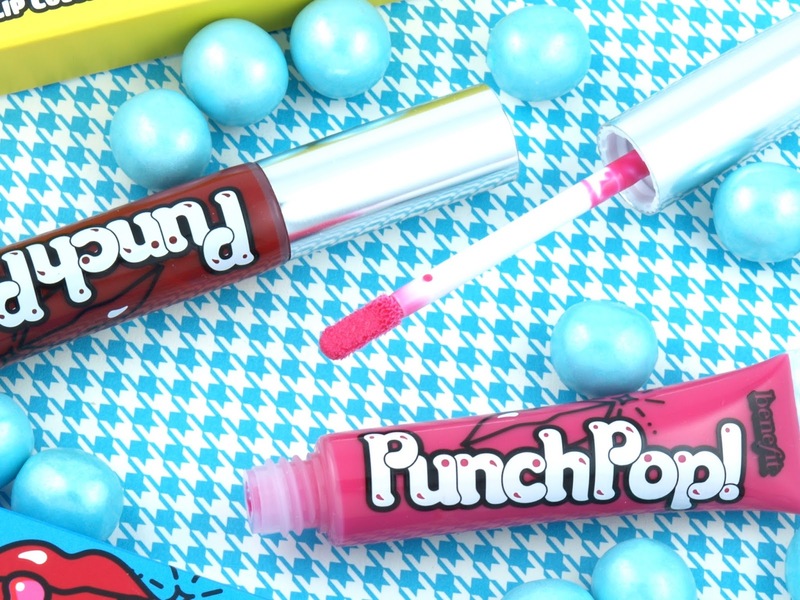 Liquid Lip Color in "Strawberry" & "Watermelon"
Infused with vitamin E, the Punch Pop! Liquid Lip Colors are available in five playful shades. 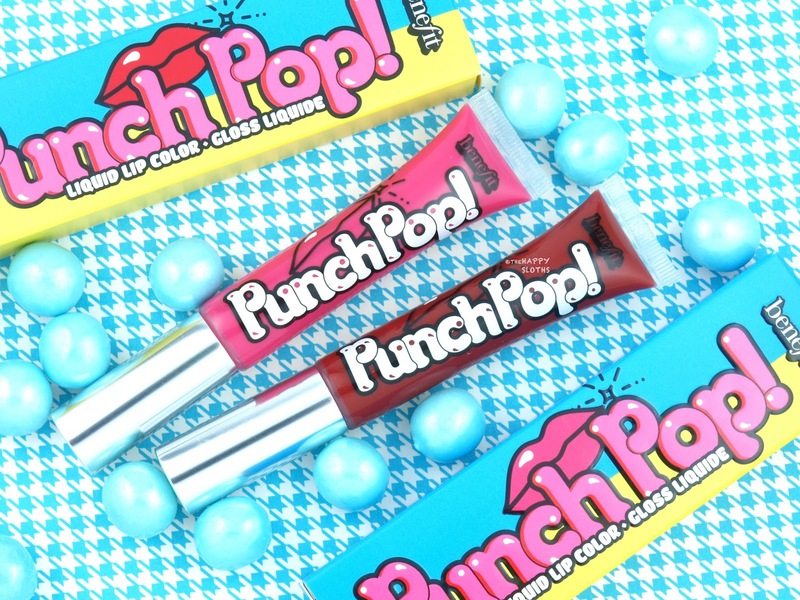 Although it's called a liquid lip color, the Punch Pop! is actually a simple lip gloss with a nicely pigmented formulation. 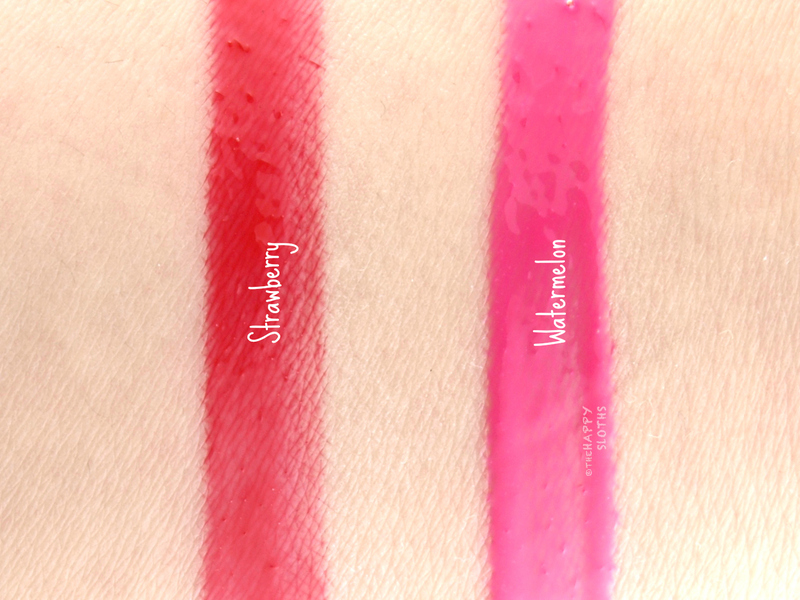 "Strawberry" is a bright pink-red while "Watermelon" is a bright light pink. Both applies very evenly and provides the lips with a hydrating, non-sticky shine. I'm a little surprised that the formulation is unscented. With shade names like "Strawberry" and "Watermelon", I totally expected these to have a sweet, fruity fragrance! Benefit Cosmetics | Punch Pop! 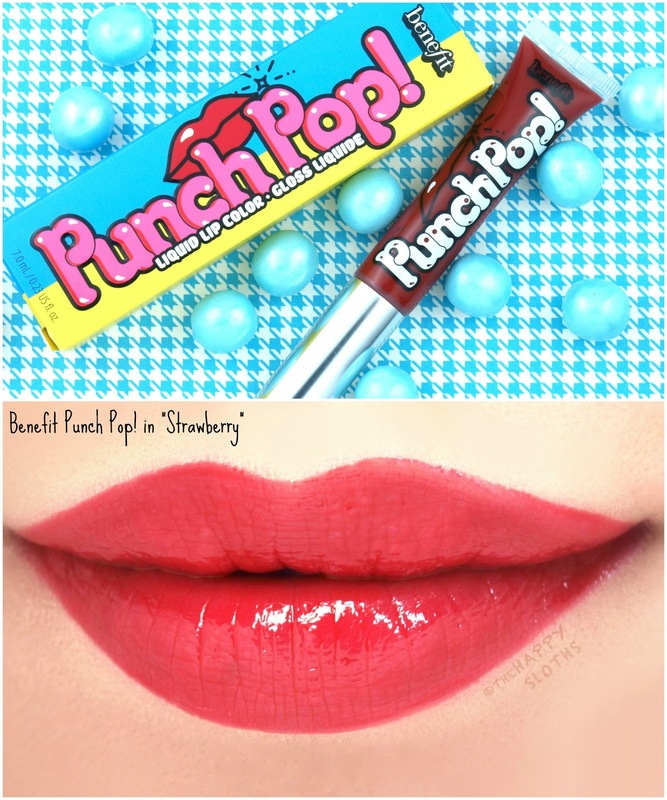 Liquid Lip Color in "Strawberry"
Benefit Cosmetics | Punch Pop! Liquid Lip Color in "Watermelon"
Overall, these are really nice and cute lip glosses. I don't think the formulation or packaging is super extraordinary but they provide a pretty splash of color and a comfortable shine. What are your thoughts on the Benefit Punch Pop! Liquid Lip Colors? Are you a fan of lip glosses? Share with me in the comments below! Benefit is available online and in stores at Sephora, Shoppers Drug Mart, and www.benefitcosmetics.com.